Office Furniture Suppliers in London, UK featuring Office Seating, Desks and Storage Solutions. 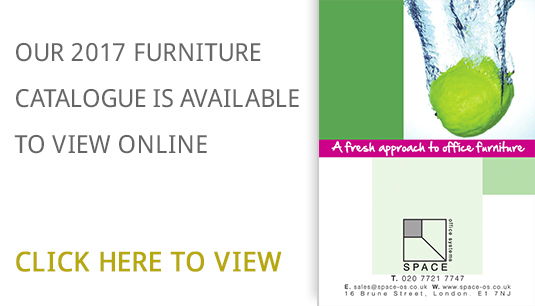 Welcome to the Space Office Systems website - we are a London based office furniture company. We specialise as office furniture suppliers in London, providing high quality office furniture, office seating, reception furniture, desks and storage solutions to a wide variety of organisations within the UK. If you require information or procurement help with any aspect of office furniture or seating, reception furniture, desks and storage solutions then please give us a call; our friendly and consultative approach as office furniture suppliers in London, UK will help you make an informed decision and our large portfolio of furniture products will allow us to find the right match for your budget and environment. Call Space Office Systems, the office furniture suppliers in London, UK today on 020 3174 2044.